As Tenet Healthcare considers a possible sale, HCA has emerged as a potential buyer. HCA, the nation's largest health system with 177 hospitals, is big enough to acquire assets from 77-hospital Tenet, including Tenet's 10 hospitals around Miami. Those are some of Tenet's most-profitable hospitals, representing about 25% of the company's total acute-care beds nationally, said Jefferies & Co. analyst Brian Tanquilut. But Nashville-based HCA already has 14 hospitals in south Florida, and antitrust regulators would certainly look at the implications of marrying those operations. "If you take away those hospitals, what's really left to buy," Tanquilut asked. Tenet also has strong hospitals in San Antonio and El Paso, Texas. But, like South Florida, HCA already has major hospitals in those markets and would face an anti-trust fight from regulators concerned about what dominant HCA hospital ownership would do to competition, said a mergers and acquisition consultant who asked not to be named because he does business with HCA and Tenet. Money-losing Tenet has hired bankers to explore strategic options for the company, including its possible sale in whole or in parts, according to media reports. Dallas-based Tenet has three main lines of business: its hospital division, a large ambulatory surgery center chain in United Surgical Partners International and its revenue-cycle business Conifer Health Solutions. Tenet spokesman Dan Waldmann said Thursday that Tenet does not comment on market speculation. An HCA spokeswoman also declined to comment. In a note to investors Thursday, Mizuho Securities healthcare analyst Sheryl Skolnick also was doubtful that HCA would buy Tenet. Skolnick wondered whether HCA could milk much more margin out of Tenet hospitals, sans South Florida, El Paso and San Antonio, than Tenet has been able to after years of effort. She says HCA has already bought the Tenet hospitals it wants. Those include three in Houston that cost $750 million to acquire. That leaves Tenet with the option of selling single or pairs of hospitals to regional not-for-profit hospitals and other buyers rather than selling in one fell swoop, Tanquilut said. That's similar to the strategy being employed by Community Health Systems, another money-losing system with outsized debt that is selling 30 hospitals to several different buyers. Skolnick concluded that HCA might better use its abundant cash flow to continue to buy back HCA stock to provide shareholder value. Tenet was cashflow negative in each of the past two quarters. The company posted a net loss of $56 million in the second quarter ended June 30. Tanquilut said the sale of Tenet's ambulatory surgery center business and revenue-cycle subsidiary also are problematic. USPI is a strong, profitable operation that is expected to grow as more surgeries move from inpatient to a less-costly outpatient setting. It's an asset worth holding onto, he said. In fact, Tenet used the $750 million proceeds from its Houston hospital divestiture by pay off bank debt taken to raise its majority stake in USPI to 80%. If Tenet's board does decide to sell USPI, it would be attractive to a number of large private equity funds, said the M&A source. Tenet bought 50% of USPI in 2015 from private equity firm, Welsh, Carson, Anderson & Stowe. Tenet paid $425 million. 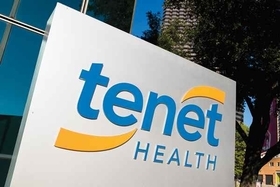 Meantime, the sale of the Conifer unit would bring a limited return to Tenet because its customer base today is very narrow: basically, it's limited to two very large customers, Tenet's own hospitals and those of Catholic Health Initiatives, Tanquilut said. Tenet, he said, needs more time to diversify its customer base before it attracts more potential buyers, he said.